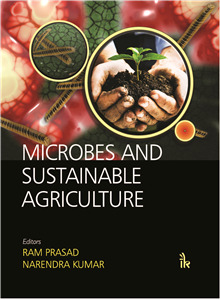 Ram Prasad | I.K International Publishing House Pvt. 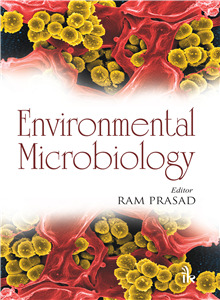 Ltd.
Ram Prasad is Assistant Professor, Amity Institute of Microbial Technology, Amity University, Uttar Pradesh. He obtained his PhD (Microbiology) from Chaudhary Charan Singh University, Meerut for which he did the experimental work in School of Life Sciences, Jawaharlal Nehru University (JNU), New Delhi. He did his MSc in Life Sciences from School of Life Sciences, JNU, New Delhi and has qualified CSIR-NET, GATE and ASRB-NET. He has seventy-five publications to his credit, which include research papers and book chapters at international and national levels. He also has five patents issued or pending and he is author/editor of three books. Dr Prasad has twelve years of research and nine years of teaching experience. He was awarded Young Scientist Award and Prof JS Datta Munshi Gold Medal. He has also been awarded FSAB fellowship by the Society for Applied Biotechnology in the field of Microbial Biotechnology. Recently, he has been awarded American Cancer Society UICC International Fellowships (2014) for Beginning Investigators and, is presently, Visiting Assistant Professor in Whiting School of Engineering, Department of Mechanical Engineering, Johns Hopkins University, the USA.